Experimental studies have shown that selenium is involved in the synthesis of selenoproteins which might contribute to cardiovascular protection. However, the relationship between selenium deficiency and vascular function in clinical context remains unknown. To investigate for any relationship between selenium deficiency and systemic arterial function in patients with high risk of vascular events. 306 consecutive patients with high risk for cardiovascular events (coronary artery disease 35%, acute/recurrent ischemic stroke 40%, diabetes mellitus 54%) followed up at internal medicine outpatient clinics. Non-invasive brachial-ankle pulse wave velocity (PWV) was determined using vascular profiling system (VP-2000). Long-term intake of selenium was determined by a validated food frequency questionnaire. Mean daily selenium intake was 59.5 ± 52.1 mcg/day, and mean PWV was 1782.4 ± 418.4 cm/s. Patients with selenium intake <10th percentile had significantly higher PWV as compared to patients with intake 10th percentile (1968.2 ± 648.9 cm/s versus 1762.2 ± 381.6 cm/s, P=0.010). 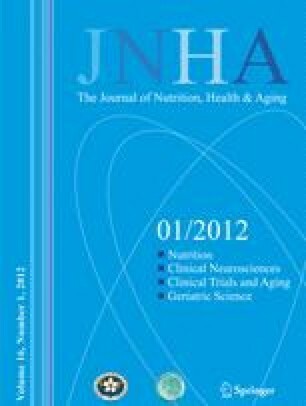 After adjusting for potential confounders including age, gender, history of hypertension, hyperlipidemia, diabetes and cardiovascular disease, smoking status, use of cardiovascular medications, waist-hip ratio, education/financial status, physical activity, calorie intake and intake of antioxidant vitamins, deficient selenium intake <10th percentile remained independently predictive of increased PWV by +363.4 cm/s [95% CI: 68.1 to 658.6, P=0.016, relative increase 21%]. Selenium deficiency is associated with adverse arterial function in patients with high risk for vascular events.